I came across this product when I was on a holiday in Dubai more than five years ago. I had teff porridge for breakfast one morning, and I was amazed at its taste. I quickly asked the restaurant manager, what is teff and where I can buy it from. He was so nice and even told me how they make the porridge. I found teff grains at old town Dubai market (£ 2.99 for 500g), and I was as happy as when I bought my first Hermes bag (not joking). On my way back to England, on the airplane I spent few hours writing down same ideas for recipes that I can use when cooking these tiny grains. I will give you same ideas how to cook teff grains at the end of this post. I was so disappointed when I run out of it because I was not to able to find it at any supermarket here. I found it on the Internet, but I was just way overpriced (£15 for 500g, WHAT). I had to pay that price because I was so addicted to this product, I just could not give up on it. Nowadays, you can find it at the most shops selling healthy products, or on the Internet at a reasonable price. I think that this product will be the new quinoa, but it is not that popular yet, maybe just people don’t know the health benefits it has. The native home of Teff is Ethiopia. I’m not surprised that people there are obsessed with it (like me ;)) approximately 6.5 million farmers grow it, and fields under cultivation cover more than 25% of all land. 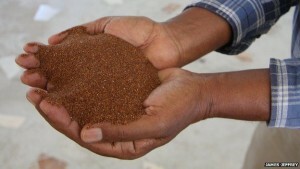 Teff is mainly used there for making the flatbread that they called injera. 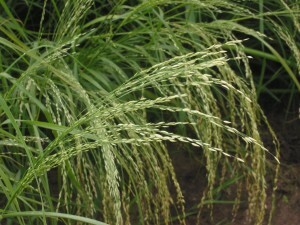 Teff is a highly nutritious poppy size seeds. It has a nutty flavour and can be found in different colour, from white and red to dark brown. What is Teff good for? Teff is good for your Immune System. It is high in protein, as it contains the eight essential amino acids needed for the body’s normal repair and growth. It also has high amounts of manganese, iron (I recommend it for people with iron deficiency), copper, aluminium, thiamin and vitamin C. Altogether, these vitamins, minerals and proteins will have a significant impact on your overall health. Teff is good for your Digestive System. Teff has been used from Ethiopians for thousands of years as a laxative, as it increases the quality and regularity of your bowel movements. This is because it contains a high amount of dietary fibres. You may already know that dietary fibres relieve constipation, cramping and bloating, as well as balancing the level of cholesterol in your body by eliminating the excess Omega 6 fatty acids. Teff is good for the health of your Bones. It has a high amount of calcium, for example, 1/2 cup of cooked teff offers about 1/4 cup of calcium that can be found in cooked spinach (amazing, isn’t it). We all know that calcium is a significant mineral for our bone normal growth and development. If you have a family predisposition to osteoporosis or your diet is lacking calcium, please add this grains to your meals. I’m sure that you will notice the difference. 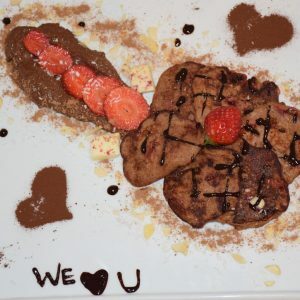 Teff is good for the health of your heart. Adding teff to your diet can be very beneficial for your heart health because it is low in sodium and saturated fat. Many studies have found that consuming foods low in sodium and saturated fat won’t clog up your arteries and will reduce the level of your blood pressure. Teff is good for managing your Blood Sugar Levels. If you are diabetic, you should add teff to your diet. It will help you control your blood sugar level, because it glycemic index is very low, plus it contains up to 40% resistant starches. Teff is gluten-free. Last but not, at least, teff is a gluten-free grain. It is a great product for those having gluten intolerance, or for those choosing just to have a gluten-free diet. How can I use Teff? I mainly use teff for making pancakes, as my family is a pancake lover. Instead of white flour, I use teff flour. You can also do porridge, just put teff grains instead of oats. You can have it boiled, added to your salads or soups. You can go classic as making bread or biscuits. Give it a go. Go in the kitchen and just do whatever you want. I am sure that you will fall in love with it as I did many years ago. GOOD LUCK !! !